My favourite hostel in seoul, I came back here 5 times and always enjoy the nice atmosphere, very comfortable beds and the nice breakfast! 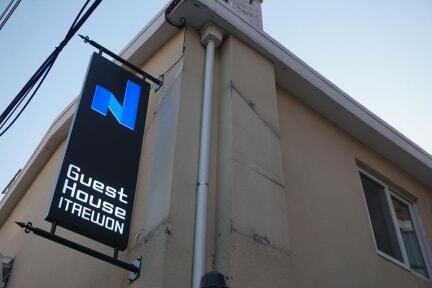 I stayed for a week in Itaewon N Guest House and really enjoyed it. The facilities were clean, and the location close to the Subway, which is always a plus in Seoul. The breakfast was cereal, eggs and toast. :) yummy! If you're a bit taller like me, I'd recommend booking the 4 bed room, as open ended beds. Overall great hostel, who were very caring and accommodating. Would stay again. The staff was welcoming and I liked the accommodations. I enjoyed staying here with my friends, the guesthouse fit our needs for just needing a place to stay overnight. Perfect location in Itaewon. Beds were comfortable. Having the curtain on the beds was perfect for privacy. Owner was very nice. I would come back here again. Absolutely loved my stay here! Great location to get around the city! The beds are very comfy and the grounds are very secured. The owner is absolutely wonderful! She felt like our Korean mom!!! Her cooking classes on Wednesday are not to be missed! Overall such a wonderful environment and if I am ever back in Korea this is where I will stay! Very clean, friendly and helpful staff, good location. Just one warning / suggestion: even though there are curtains on the beds, still bring an eyeshade if you don't want to be woken up by others turning on the light. The individual reading lamps are super bright and shine lots of light into neighboring bunks through the gap between the bunks and the wall. Pretty cool place. A bit hard to find initially due to being unable to use Google Maps, but they provide good enough directions to get there. The place is pretty quiet despite being in the hustle and bustle of Itaewon, and I was very much happy that the lady at the front desk helped me carry my luggage to the second floor. The place is really nice. Though they could work a bit on the cleanliness. One of the girls in my dorm arrived to a dirty locker/shelf (hair, dust, crumbs). 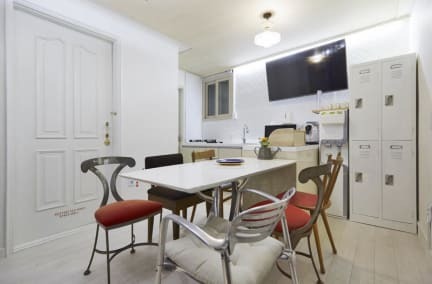 Hostel is in a really good location, close to the main streets and clubs/bars and the subway as well as the city bus stop to Gangnam bus station. Atmosphere was quiet and peaceful which for me was perfect, I wasn't looking for a party hostel which others may be. Rooms were a little small, I wouldn't recommend bringing a lot of stuff, I was here for 3 nights so for me it was fine. Beds were comfy and the curtains provided privacy. Place was really clean. I would definitely stay here again. The hostel is clean, the staff is nice the breakfast is really good. The beds are soft and big. However the room was rather small, you couldn't even store your bag inside, there were lockers for the bags in the hallway outside but that won't work if you have a larger pack or suitcase. The bathroom on my floor was tiny as well but you could go and use the bathrooms on the other floors if you wanted to shower. Little hostel in a great location! But definitely not a place I’d stay for more than one night. It’s a perfect place to catch some Zzzz’s and move on to the next one. The atmosphere isn’t the greatest, everyone just seemed to keep to themselves and the staff didn’t help make the stay fun or lively at all. But for a one night stay I’d highly recommend it. You can’t beat the price cleanliness and location.